Experts are trying to make sense of an unusual earthquake that shook Northeastern Utah, Wednesday morning. Anyone feel this small earthquake this morning in the southern Uinta Mountains? According to the Univeristy of Utah seismic report on this event, “The Uinta Mountains and Wyoming Basin are stable parts of the North American tectonic plate that are relatively unaffected by geologically young crustal deformation; only minor, ambiguous evidence of possible young faulting is found in the area.” Find this and other information in their report HERE. A small earthquake shook the southern Uinta Mountains early Wednesday, according to the University of Utah Seismograph Station. Have you found him the perfect gift yet? This year, give him the gift of adventure. 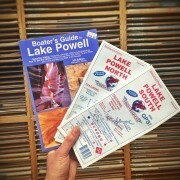 Check out these great books at our Map & Bookstore! 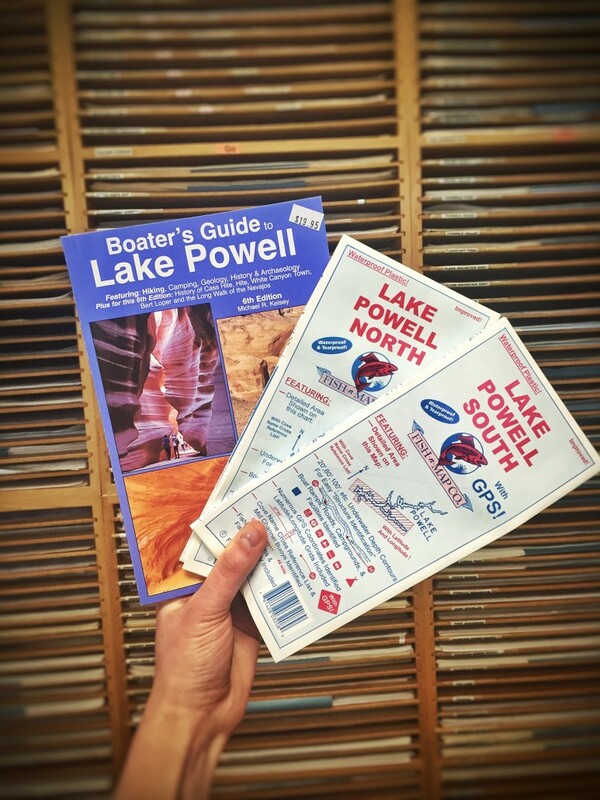 A boating dad’s guide to Lake Powell. https://geology.utah.gov/wp-content/uploads/FullSizeRender3.jpg 3264 2448 Utah Geological Survey https://geology.utah.gov/wp-content/uploads/ugs-logo-large.png Utah Geological Survey2016-05-25 13:26:492016-08-10 16:34:45Father's Day is on the way! Did you see our 2016 Utah’s Energy Landscape is out? Read this feature on the new pub, and find the publication HERE. Utah, identified four years ago by the U.S. Department of the Interior as one of six states in the country with prime solar potential, is riding a boom of new utility-scale developments harnessing the energy of the sun. Everyone knows Triceratops. Old “three-horned face” has stood as the ultimate in spiky dinosaurs since it was named in 1889. Yet Triceratops was only the last in a long line of horned dinosaurs. Horned dinosaurs thrived on prehistoric Asia and North America for over 100 million years, and it’s only now that paleontologists are uncovering a wealth of ceratopsians that are weirder and more varied than anyone ever expected. A new species of horned dinosaur has been unearthed by scientists in southern Utah. VIDEO: How Was the Grand Canyon Formed? https://geology.utah.gov/wp-content/uploads/ugs-logo-large.png 0 0 Utah Geological Survey https://geology.utah.gov/wp-content/uploads/ugs-logo-large.png Utah Geological Survey2016-05-13 15:15:032016-08-10 16:34:46VIDEO: How Was the Grand Canyon Formed? Does Geography Impact How People Vote? Watch Genevieve Atwood talk about geography and its role in our daily lives. Genevieve Atwood was UGS Director from 1981–1989, and now an Adjunct professor of geography at the University of Utah. Geography plays a major role in politics and voter behavior. Genevieve Atwood, an Adjunct professor of geography at the University of Utah says in geography, everything is connected to everything else. Dr. Atwood grew up in Utah and served in the Utah House of Representatives from 1974 – 1980. She also served as Utah State Geologist and Director of the Utah Geological Survey from 1981 – 1989. She began teaching at the University of Utah in 1993 and is also the Chief Education Officer of educational non-profit Earth Science Education. https://geology.utah.gov/wp-content/uploads/ugs-logo-large.png 0 0 Utah Geological Survey https://geology.utah.gov/wp-content/uploads/ugs-logo-large.png Utah Geological Survey2016-05-12 16:02:092016-08-10 16:34:46Does Geography Impact How People Vote?